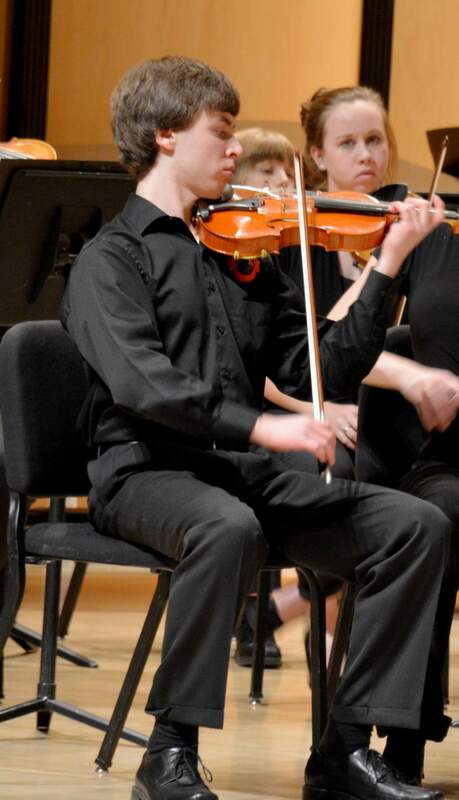 It’s always exciting to see a young person who grew up in Durango shine out in the world, and that’s certainly true of violinist Nolan Reed, who was so good in middle school, he played with the Durango High School Orchestra. At 3 p.m. Sunday in Roshong Hall at Jones Hall at Fort Lewis College, Nolan will perform a concert fundraiser as a thank you. Half the money raised will go to the San Juan Symphony, which nurtured Reed by making him the concertmaster of the Youth Orchestra. The other half will help fund an exchange to Denmark in May for the talented young man. His little brother Casey Reed, also a violinist, isn’t far behind. A seventh grader, Casey also plays with the DHS Orchestra and has begun shining in the larger world. This recital will include smaller encore works for the violin, movements of an unaccompanied Bach Violin Sonata, as well as a full Beethoven Sonata for Violin and Piano and what Nolan Reed calls a little extra surprise at the end. He’ll be joined by Casey on some pieces and will perform the Beethoven with Levi Brown on piano. Tickets may be purchased at http://nolanreedbenefitrecital.brownpapertickets.com, and additional donations may be made at the door or after the concert. Both boys are the sons of Ron Reed and Cindy Bonitz-Ryan.